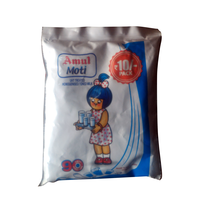 Amul Lactose Free Milk with less than 0.01% lactose content. Goodness of protein, calcium vitamins and pre-digested Lactose that helps in easy digestion of milk for lactose intolerant people. 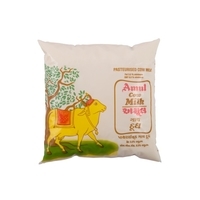 Amul Lactose Free Milk is manufactured in state-of-art manufacturing facility of AmulFed Dairy, Gandhinagar. Enzyme Lactase is added to normal ultra heat treated milk at very high precision so that the natural lactose present in milk is broken down in to glucose and Galactose. 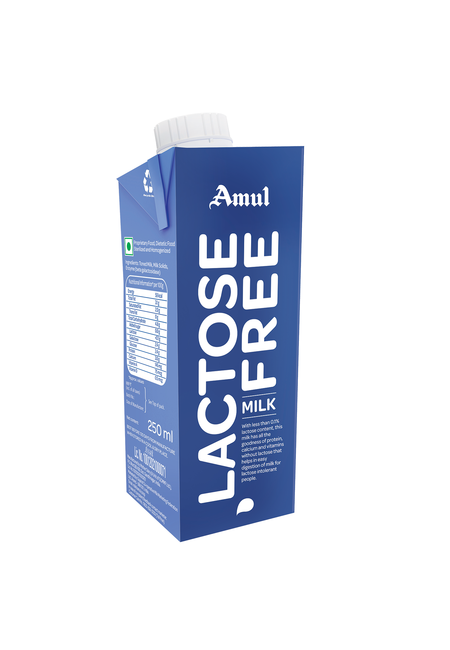 Following which the lactase treated milk is packed aseptically to given Amul Lactose Free Milk. 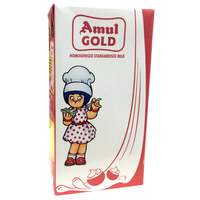 Hence Amul Lactose Free Milk is any normal milk devoid of lactose. 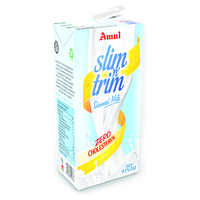 Amul Lactose Free Milk is first of its kind in India. A lactose intolerant person who has not been consuming milk and hence has not been getting nutrition from milk may now get nourishment from Milk. Lactose is a sugar (carbohydrate) present in the milk and is the primary source of energy that comes from milk. Lactose is basically made up of two smaller sugars called Glucose and Galactose. Lactose makes up around 4.0 - 4.5% of the milk (by weight) and is the major constituent of SNF (solid not fat) in milk. Infants nurse on their mothers to drink milk, which is rich in lactose. The intestine secretes the enzyme called lactase to digest it. This enzyme cleaves the lactose molecule into its two subunits, the simple sugars glucose and galactose, which can be readily absorbed. Lactose intolerance, also called lactase deficiency and hypolactasia, is the inability to digest lactose, a sugar found in milk and to a lesser extent dairy products. Lactose intolerant individuals have insufficient levels of lactase, the enzyme that helps in breaking down of lactose into glucose and galactose, in their digestive system. In most cases this causes symptoms which may include abdominal bloating, rumbling stomach, and other discomfort after consuming significant amounts of lactose. Common symptoms of Lactose intolerance are abdominal bloating, rumbling stomach, other discomfort. If you feel (discomfort) after drinking a glass of milk one time, you probably do not have lactose intolerance. But if you feel (discomfort) every time you have milk, ice cream, or another dairy product, you may have lactose intolerance. Symptoms of the most common type of lactose intolerance adult lactose intolerance often starts during the teen or adult years and continue for life. If you think you might have lactose intolerance, talk it over with your doctor. Your doctor can make sure that your symptoms are caused by lactose intolerance and not by another problem. How can you prevent lactose intolerance? Lactose Intolerance is a condition rather a disease and there is no treatment in strict sense. However it can be prevented by measures like lactose reduced / free food as well as modification in your diet in consultation with your physician. Why is Lactose Free Milk sweeter than the normal Milk? During processing of milk, lactose in the milk is broken down into glucose and galactose. Hence the content of glucose in the milk becomes high. Since sweetening index of glucose is five times that of lactose, the milk tastes sweeter without adding any sweetening substance. 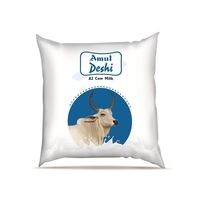 Product Features Amul Lactose Free Milk is manufactured in state-of-art manufacturing facility of AmulFed Dairy, Gandhinagar. Enzyme Lactase is added to normal ultra heat treated milk at very high precision so that the natural lactose present in milk is broken down in to glucose and Galactose. 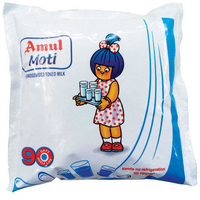 Following which the lactase treated milk is packed aseptically to given Amul Lactose Free Milk. Hence Amul Lactose Free Milk is any normal milk devoid of lactose. 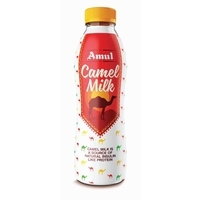 Amul Lactose Free Milk is first of its kind in India. A lactose intolerant person who has not been consuming milk and hence has not been getting nutrition from milk may now get nourishment from Milk. 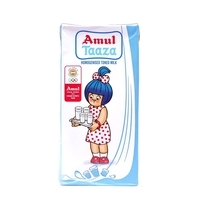 FAQs related to Amul Lactose Free Milk What is Lactose? Lactose is a sugar (carbohydrate) present in the milk and is the primary source of energy that comes from milk. Lactose is basically made up of two smaller sugars called Glucose and Galactose. Lactose makes up around 4.0 - 4.5% of the milk (by weight) and is the major constituent of SNF (solid not fat) in milk. Infants nurse on their mothers to drink milk, which is rich in lactose. The intestine secretes the enzyme called lactase to digest it. This enzyme cleaves the lactose molecule into its two subunits, the simple sugars glucose and galactose, which can be readily absorbed. What is Lactose Intolerance? Lactose intolerance, also called lactase deficiency and hypolactasia, is the inability to digest lactose, a sugar found in milk and to a lesser extent dairy products. Lactose intolerant individuals have insufficient levels of lactase, the enzyme that helps in breaking down of lactose into glucose and galactose, in their digestive system. In most cases this causes symptoms which may include abdominal bloating, rumbling stomach, and other discomfort after consuming significant amounts of lactose. How do I know if I have lactose intolerance? Common symptoms of Lactose intolerance are abdominal bloating, rumbling stomach, other discomfort. If you feel (discomfort) after drinking a glass of milk one time, you probably do not have lactose intolerance. But if you feel (discomfort) every time you have milk, ice cream, or another dairy product, you may have lactose intolerance. Symptoms of the most common type of lactose intolerance adult lactose intolerance often starts during the teen or adult years and continue for life. If you think you might have lactose intolerance, talk it over with your doctor. Your doctor can make sure that your symptoms are caused by lactose intolerance and not by another problem. How can you prevent lactose intolerance? Lactose Intolerance is a condition rather a disease and there is no treatment in strict sense. However it can be prevented by measures like lactose reduced / free food as well as modification in your diet in consultation with your physician. Why is Lactose Free Milk sweeter than the normal Milk? During processing of milk, lactose in the milk is broken down into glucose and galactose. Hence the content of glucose in the milk becomes high. Since sweetening index of glucose is five times that of lactose, the milk tastes sweeter without adding any sweetening substance.